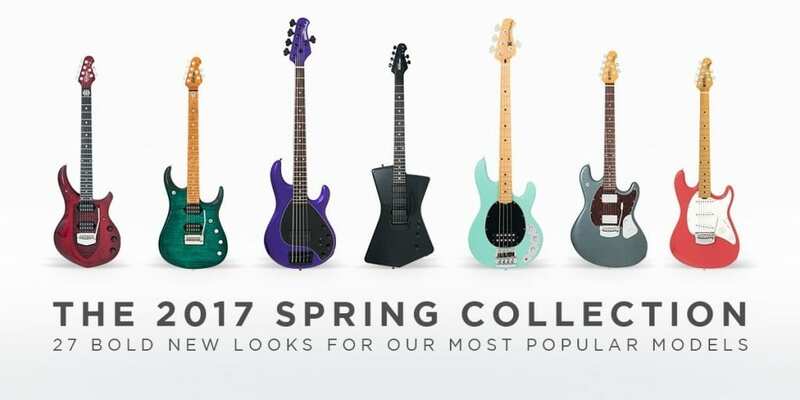 The Ernie Ball Music Man 2017 Spring Collection has been announced – and it’s looking very colourful! It also features some great options as well, and encompasses 27 new models. Here are my favourite five. The line-up as announced is looking really good, I think. I have owned a lot of Music Man guitars in the past and I find them to be consistently good instruments. I was quite excited to see all these great new colour options for 2017. 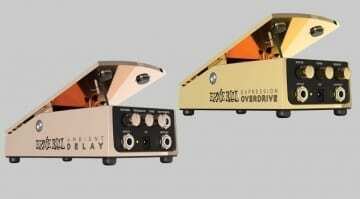 The company is also offering new versions for some of their Signature Models including the St. Vincent and the John Petrucci models. 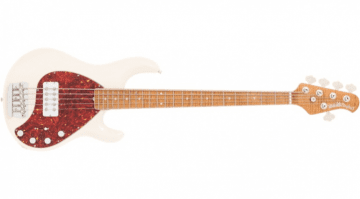 The colour options include the Bongo Bass, Cutlass and Stingray guitars as well as the Old Smoothie bass. I have chosen my favourite five from the new range, but would urge you to go and check them all out over at the Ernie Ball Music Man page here. Let’s start off with some Stealth. 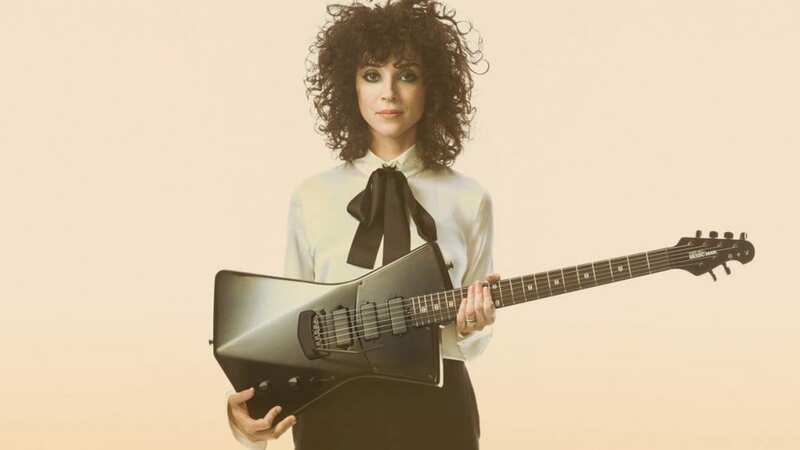 With it being almost completely in black, the new Stealth version of the St. Vincent model is the ‘odd one out’. It still looks pretty sweet amongst all those colours, though. St. Vincent new ‘Stealth’ option! The new Monarchy Series John Petrucci Majesty guitars now come in Black Knight, Imperial Blue, Majestic Purple and Royal Red. 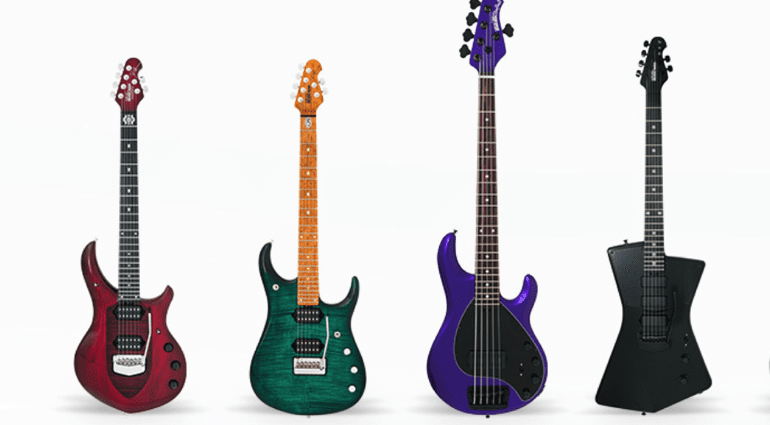 The guitars look really nice and if you like his JP6 and JP7 models, then you might also like these new models as well. The Majesty comes loaded with DiMarzio Sonic Ecstasy pickups and also a piezo bridge. 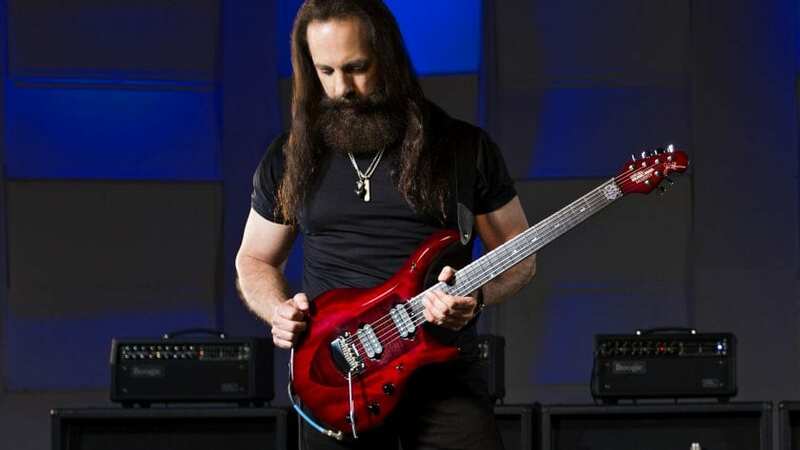 John Petrucci with his eponymous Monarchy Series Majesty guitars. Available in Black Knight, Imperial Blue, Majestic Purple and Royal Red! The new John Petrucci JP15 also looks really good and now comes with a ‘roasted maple’ fretboard and has Dimarzio Illuminator pickups, piezo bridge system and on-board 20dB gain boost! It looks like it could be a pretty versatile guitar and with some nice new Translucent Teal Burst finish. This 5-string Stingray looks lovely and is being launched to celebrate 30 years of this model. It has an ash body and is finished in transparent buttercream finish, which I think looks really good. 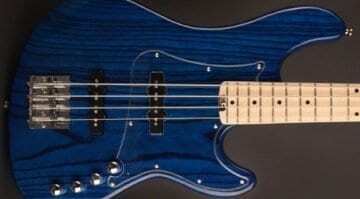 You can also get it with either a ‘roasted maple’ fretboard or a rosewood version. 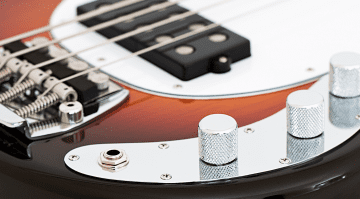 The Stingray is highly renowned bass, and is played by many pro musicians. The 30th Anniversary version looks like one to go check out. Limited to 300 guitars, this new Ball Family Reserve guitar has a mahogany tone block, on-board 20dB boost, figured A++ maple top and a roasted birdseye maple neck. Each guitar is signed by Steve Lukather and I think fans will love the Tumescent finish. The regular Luke version of the guitar is a really nice instrument and every one I have played has been great, so this limited version will probably sell out fast. The 2017 line-up includes many new versions, far too many for me to list them all here. Music Man fans should go check them all out on the site and let us know which is your favourite. But I just had to leave a few pics for you to all drool over below. Check out those colours!